Everything Lord Turner said about the Paris Agreement and China’s and India’s Intended Nationally Determined Contributions was wrong. On yesterday morning’s BBC Today Programme, Lord Adair Turner, the chairman of the UK’s Energy Transitions Commission (and formerly Chair of the Committee on Climate Change) gave his very positive views on climate change policy in light of the Paris Agreement (PA) which has been opened for signature on 22 April. These views went essentially unchallenged by an interviewer with a limited grasp of the issues, and as those views were fundamentally wrong, listeners will likely have been badly misled. Lord Turner told listeners that the Paris Agreement and the statements of policy intention by the Parties to the Paris Conference – the ‘Intended Nationally Determined Contributions (INDCs) – were excellent but more needed to be done. But the Paris Agreement not merely fails to ground the policy of mitigation of global warming, it ensures that the policy will fail. And the INDCs of China and India, which Lord Turner especially mentioned, are statements of an intention massively to increase emissions. Three principal points should be made. First, Lord Turner will have led listeners to believe that an agreement to set a limit to warming of 2°C or less has been reached. The main burden of what he said is that more needs to be done to meet this target than has so far been said in INDCs. But Art 2 of the Paris Agreement in fact provides only that it ‘aims to strengthen the global response to the threat of climate change … including by the holding the increase to well below 2°C’. This is an expression, not of setting a concrete limit, but merely of an aspiration to set such a limit. It is true that Art 2 is expressed in a deplorably equivocatory and convoluted language which fails to convey this vital point, indeed it obscures it. But nevertheless that is what Art 2 means. What weight can be put on this aspiration? Neither 2°C nor any other specific target has ever been agreed at the UN climate change negotiations. To the best of my knowledge, the 2°Ctarget was itself devised by the EU Commission and first put forward at a meeting of the Council of the European Union in 1996 in order to push forward UN negotiations which even then were giving ‘concern’ because they were ‘not advancing as needed to achieve [their] intended objective’. Diplomacy in which the UK and the EU, in collaboration of the UN Climate Change Secretariat, have played a large part has since led to the 2C target being mentioned in various ways in subsequent UN negotiations. But it has never been actually agreed and it is not agreed now. An expression of mere aspiration is all that has been reached after more than a quarter century of negotiations. To speak of the Paris Agreement so positively without mentioning this history of failure at all is bound to mislead. But this is by no means the worst feature of the Paris Agreement. That’s because, secondly, it gives yet more force to what has undermined the mitigation policy since the agreement of the Framework Convention in 1992. An agreement was reached at the Convention (and the subsequent 1997 Kyoto Protocol), but, far from being an agreement to reduce global emissions, it was an agreement to allow their unbounded increase. Under the ‘common but differentiated responsibilities’ strategy without which the Convention would never have been agreed by the newly industrialising countries such as China and India, those countries, classified amongst the developing countries, are given explicit permission to give economic growth priority over emissions reduction. And as the emissions of China (itself in pursuit of its growth plans) have been, are and will be more than enough to make the 2°C target a sort of joke (with India following behind), this has implicitly meant that the mitigation policy was impossible from the outset. 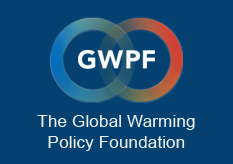 No emissions caps have ever been, are, or can be set on the developing countries, for the good reasons that this is what the Framework Convention, the Kyoto Protocol and now the Paris Agreement provide. In the Paris Agreement, this disastrous position is actually strengthened by being made explicit. In discussions of climate change policy, a crucial distinction has been drawn between ‘absolute’ (i.e. actual emissions reductions) and other forms of reductions (principally in carbon intensity), which do not normally lead to absolute reductions but are, indeed, perfectly consistent with a significant growth in absolute emissions. Art 4(4) of the Paris Agreement confines ‘absolute emissions reduction targets’ to the developed countries and distinguishes them from the ‘mitigation efforts’ the developing countries might undertake, which will not involve absolute reductions. This provides an explicitly legal permission for developing countries not to make any CO2 reductions and will be the legal basis of continued immense increase in China’s and India’s CO2 emissions. Thirdly, when it comes what China is prepared to commit to doing internationally, there is no need to quote from its INDC as its wording is very similar indeed to what has appeared in the Paris Agreement. It would appear that the Paris Conference largely adopted the Chinese wording in the Paris Agreement. China’s INDC is a categorical statement that anything it may choose to do will be subject to Art 4(7) of the Framework Convention, and that absolute emissions reductions are a matter exclusively for the developed countries in the way that appeared in Art 4(4) of the Paris Agreement. China will not be making any such reductions. There is a statement of intention to ‘achieve peaking’ of emissions by 2030 or earlier, but it is very difficult to understand this. It cannot mean achieving a peak level of absolute emissions in 2030 as this would prevent further economic growth. It must be interpreted in terms of what China generally claims it intends to do, which is to lower carbon intensity. Lord Turner represented China’s position very positively, but it is very misleading. Reduction in carbon intensity and reduction in absolute emissions must be strongly distinguished. Carbon intensity is a measure of the amount of CO2e which must be emitted to obtain a certain increase in GDP. Broadly speaking, absolute emissions and economic growth are strongly correlated, but, with increasing sophistication of technology, the rate at which growth requires emissions, that is to say, carbon intensity, falls. China’s economic growth will involve a reduction of carbon intensity as new power plants are installed and old plants are retired. But reduction in carbon intensity may be perfectly consistent with unbounded absolute growth in CO2 emissions, depending on how much economic growth there is. China’s growth targets, stated as its ‘strategic goals’ in the INDC, are such that Chinese reductions in carbon intensity will be made, not despite but because of a growth in absolute emissions. China will not retire existing generating capacity and replace it only with an equivalent or smaller capacity generated by lower intensity plant. It will retire older capacity in the course of an immense expansion of overall capacity. China’s extremely ambitious and apparently positive intensity targets actually represent a statement that the increase in its emissions will be vast.